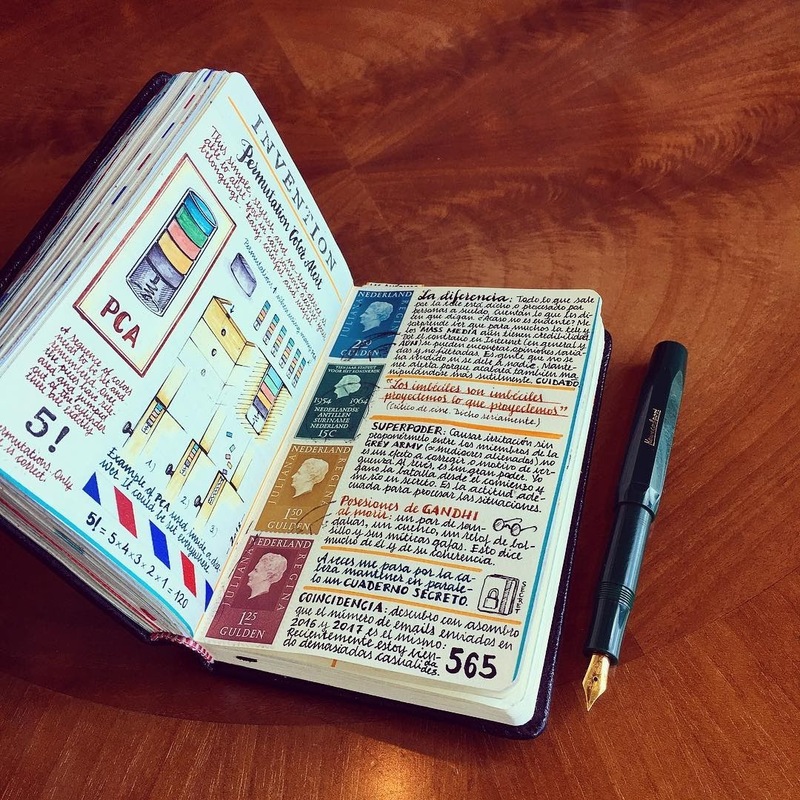 Absolutely not your typical journal, I was amazed by the content in them. 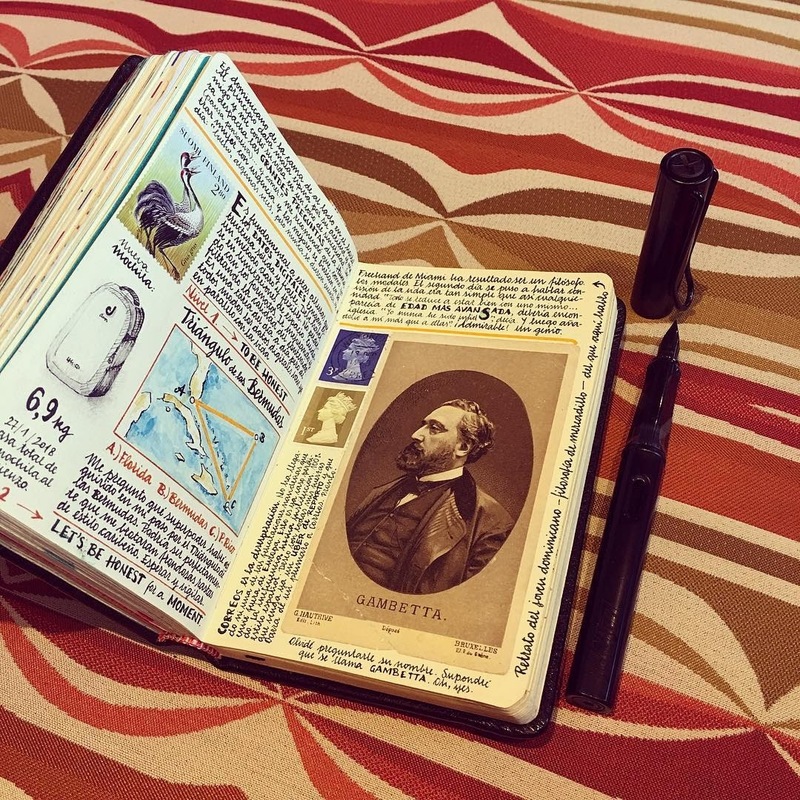 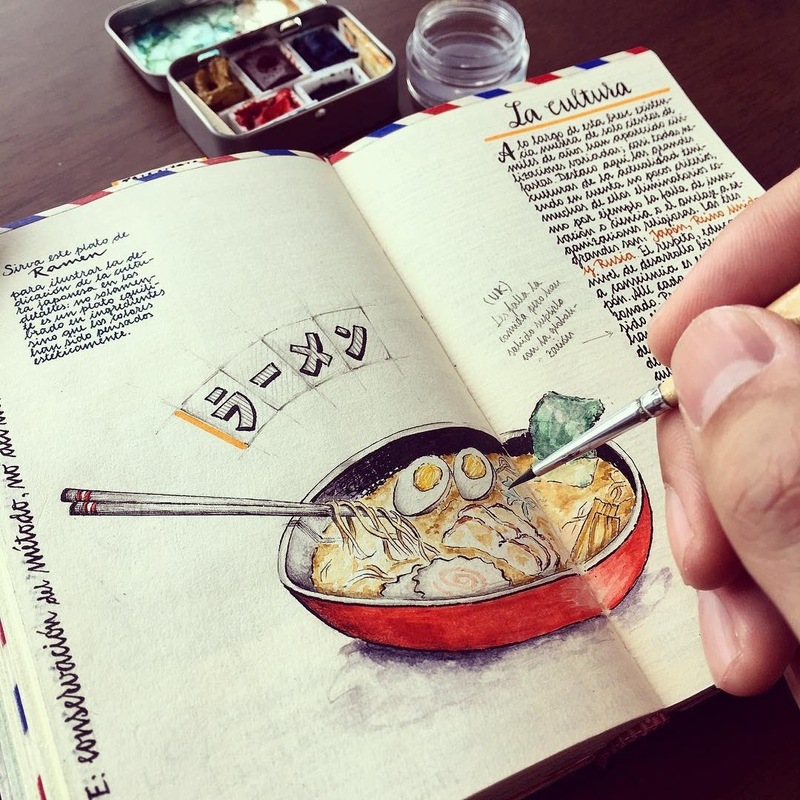 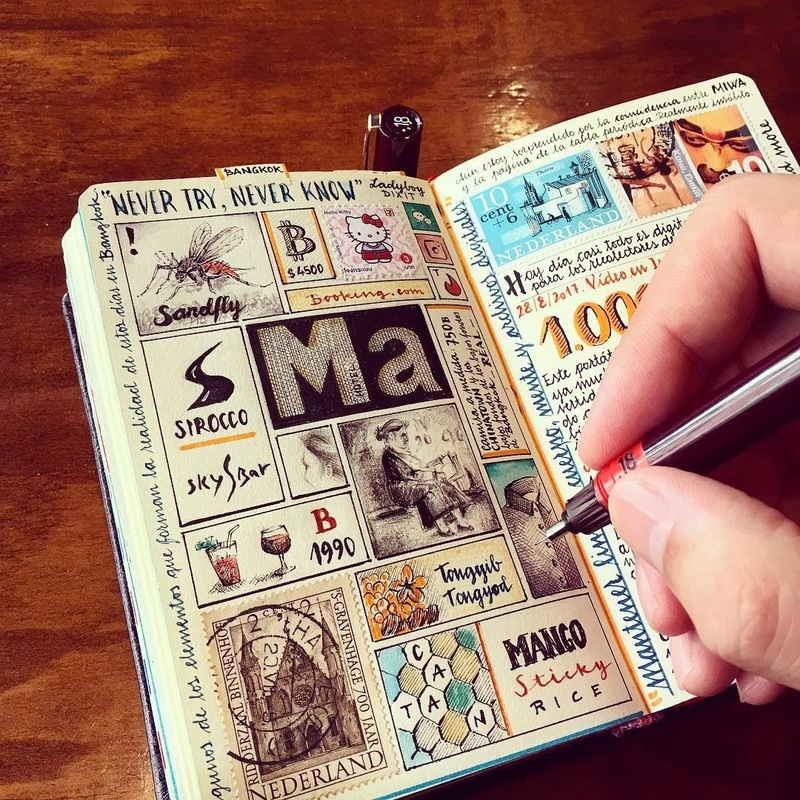 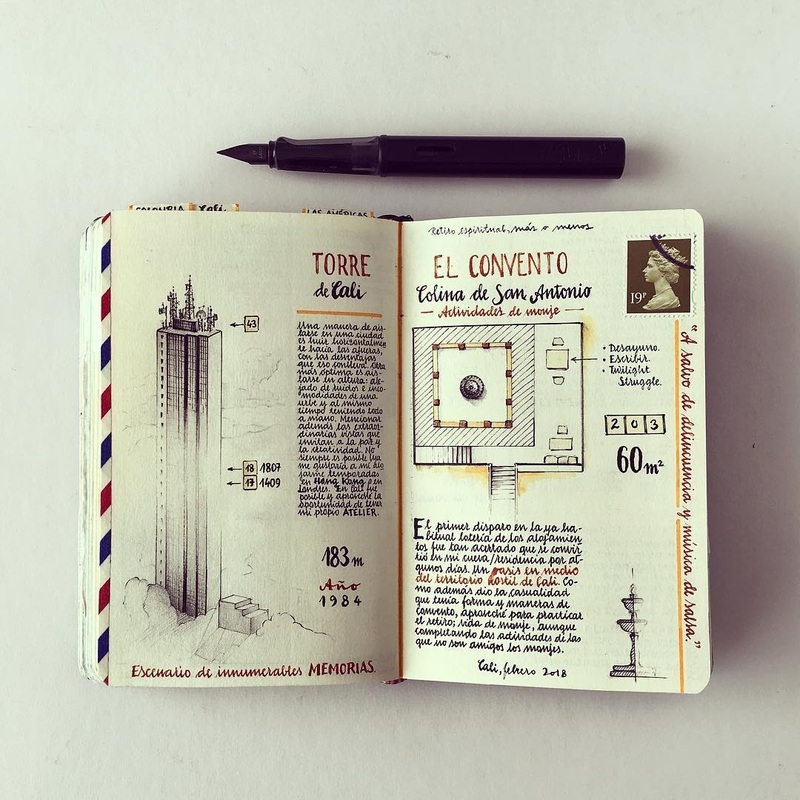 Jose Naranja worked for may years as an aeronautical engineer, he then decided to start documenting his travels and his thoughts in a very artistic way, in his Moleskine books. 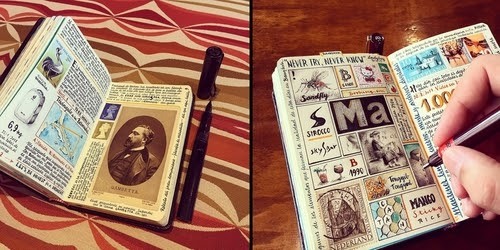 By the way, now he creates his own books and has instructions on his blog site, on how you can make your own. 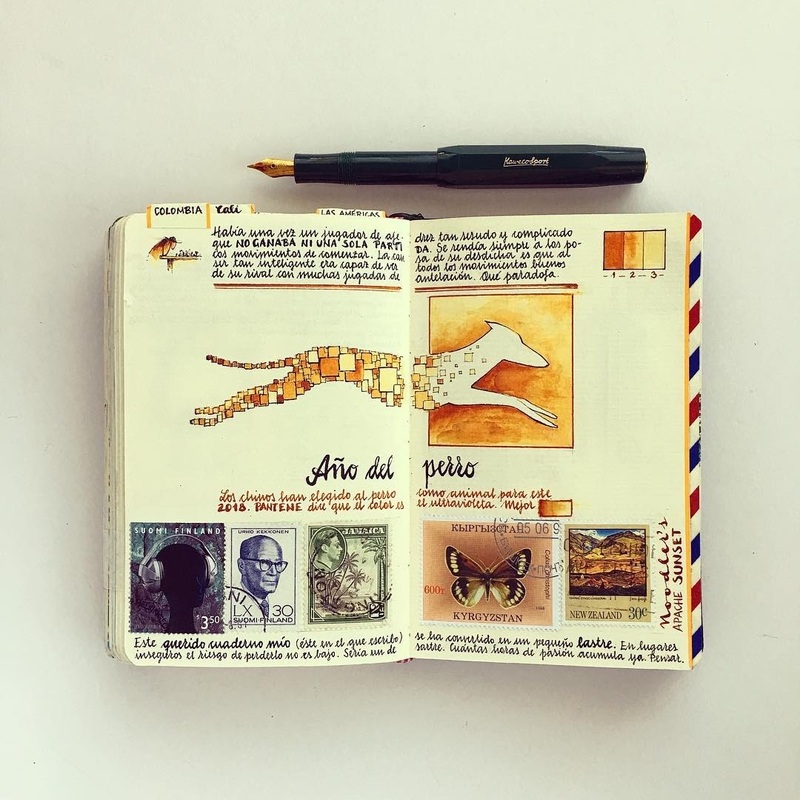 The thing I like most about them, is the relationship between the drawings, photos and his thoughts expressed in calligraphy. 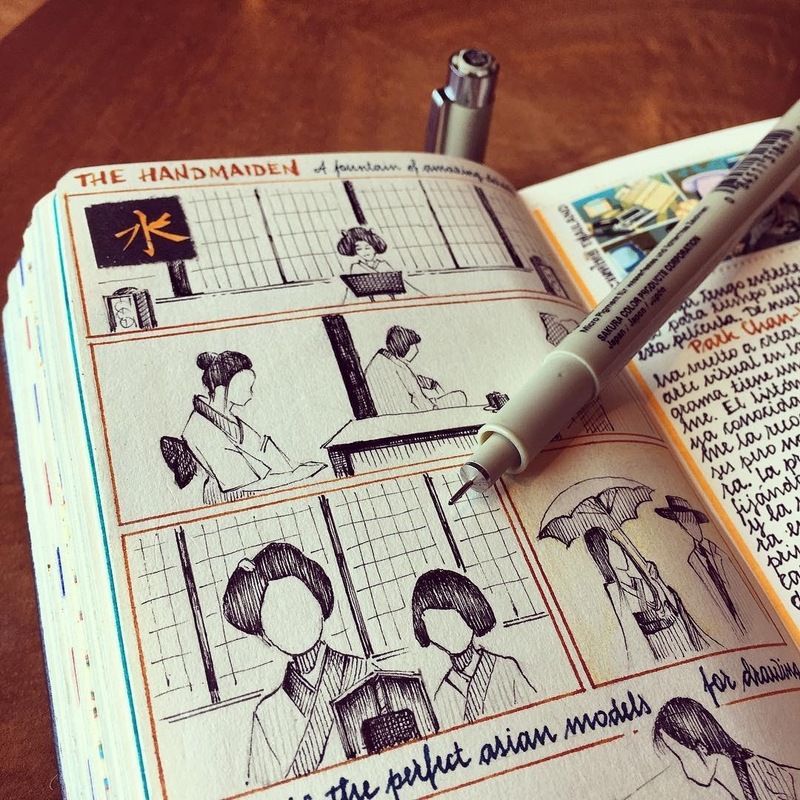 His writing, so beautifully frames the images, that it becomes as artistic as the drawings themselves. 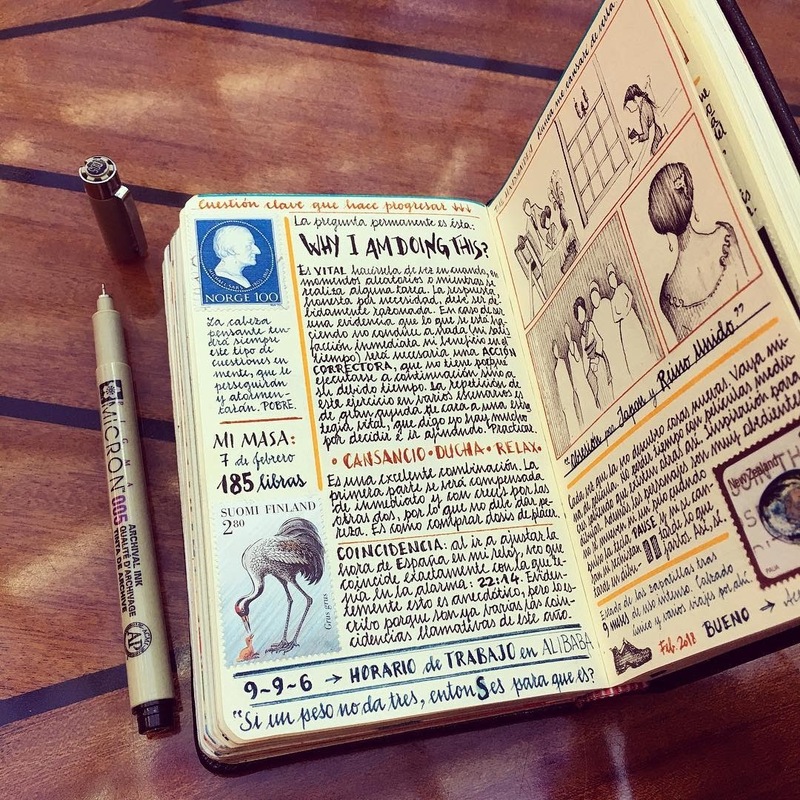 These journals are not like most of the ones I have seen in the past, apart from the calligraphy, drawings and photos, they contain: observations, gripes the artist has, theories, architecture, culture and food of the various places he visits. 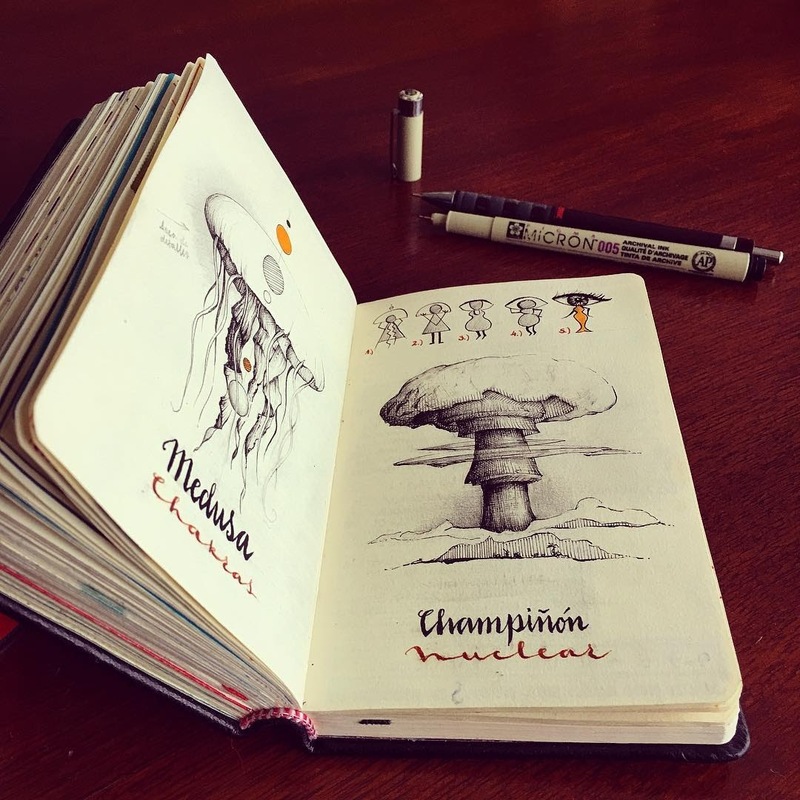 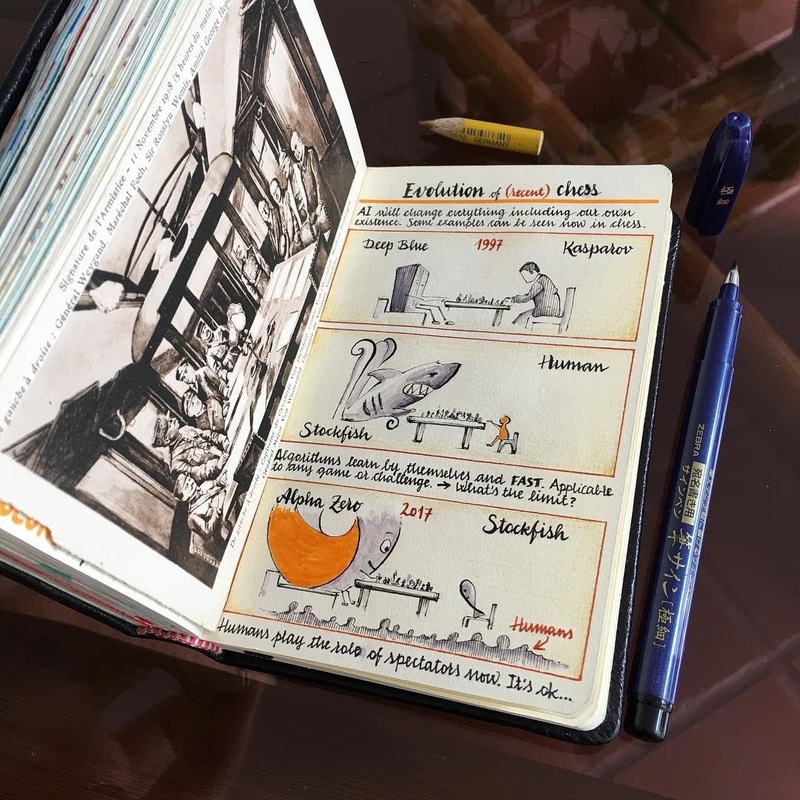 The writing in the pictures we have are not in English, so I can't read them, but it really doesn't stop me enjoying the artistry and precision within his journals. 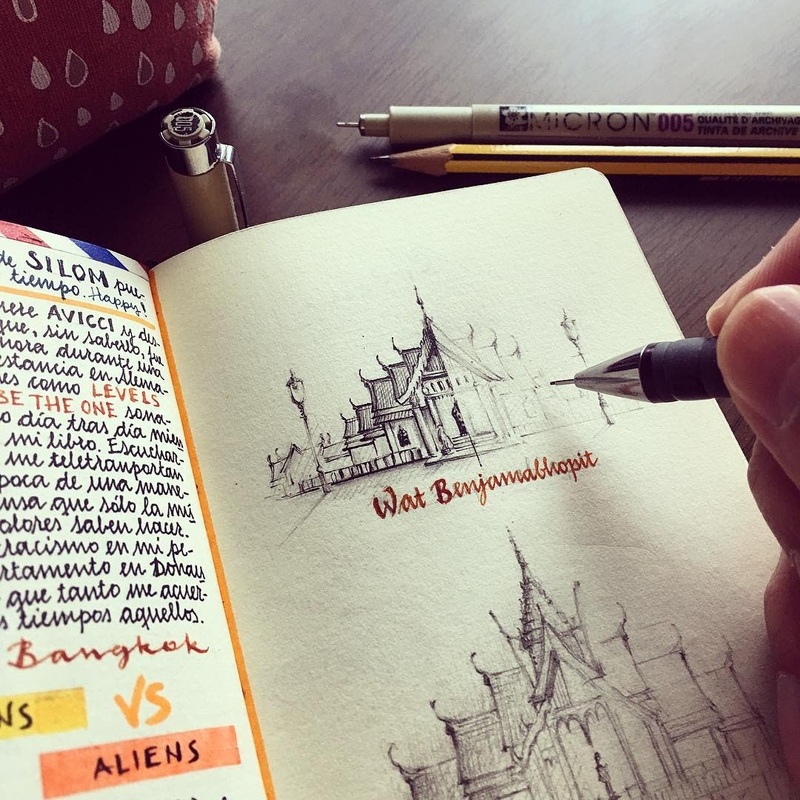 Random boxes notes form the last days in Bangkok. 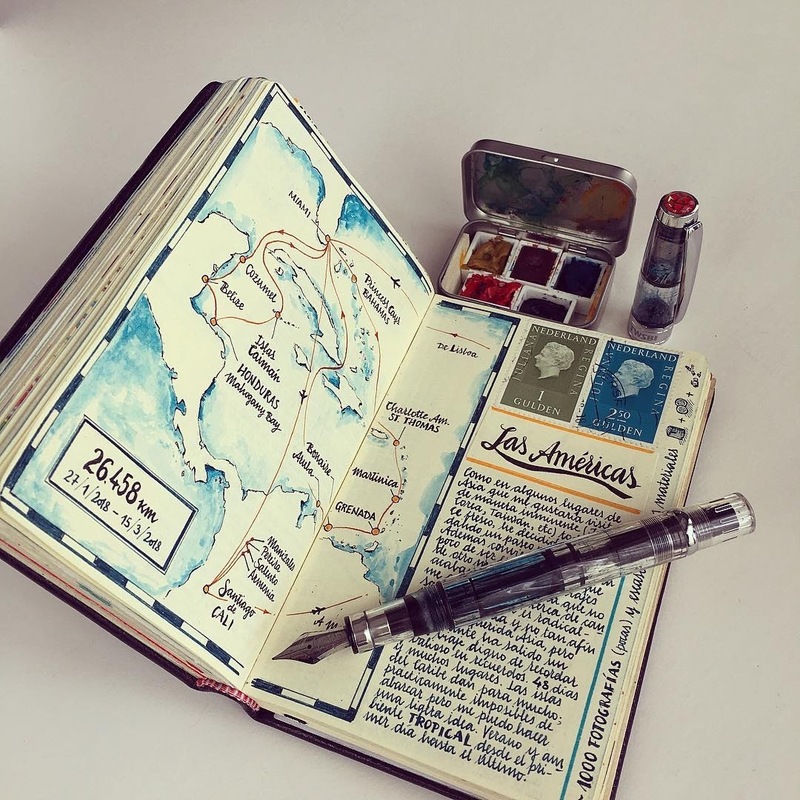 Route map. 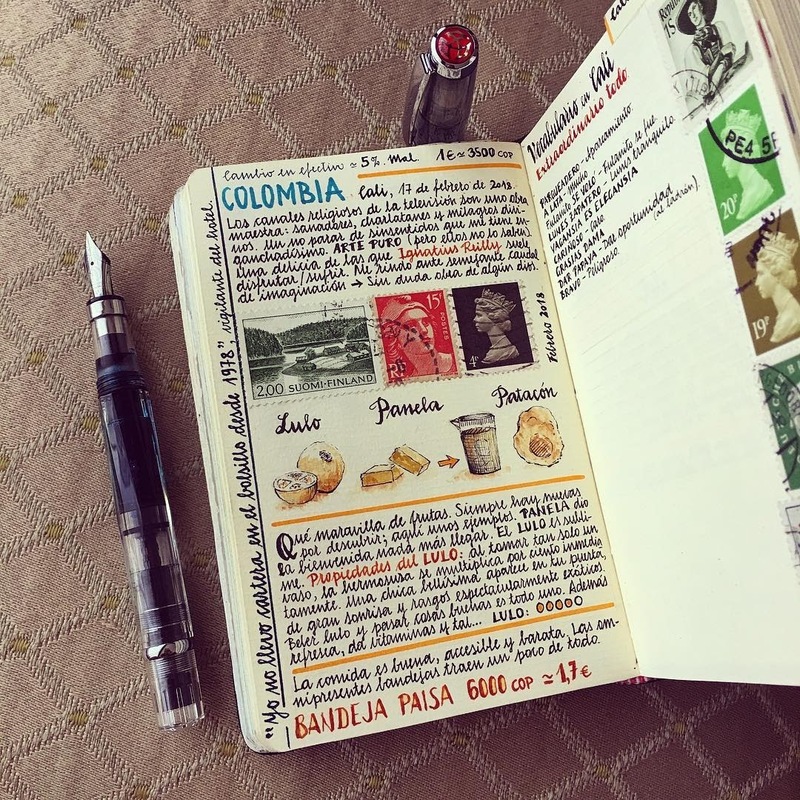 All in blues - turquoise fountain pen ink and watercolor. 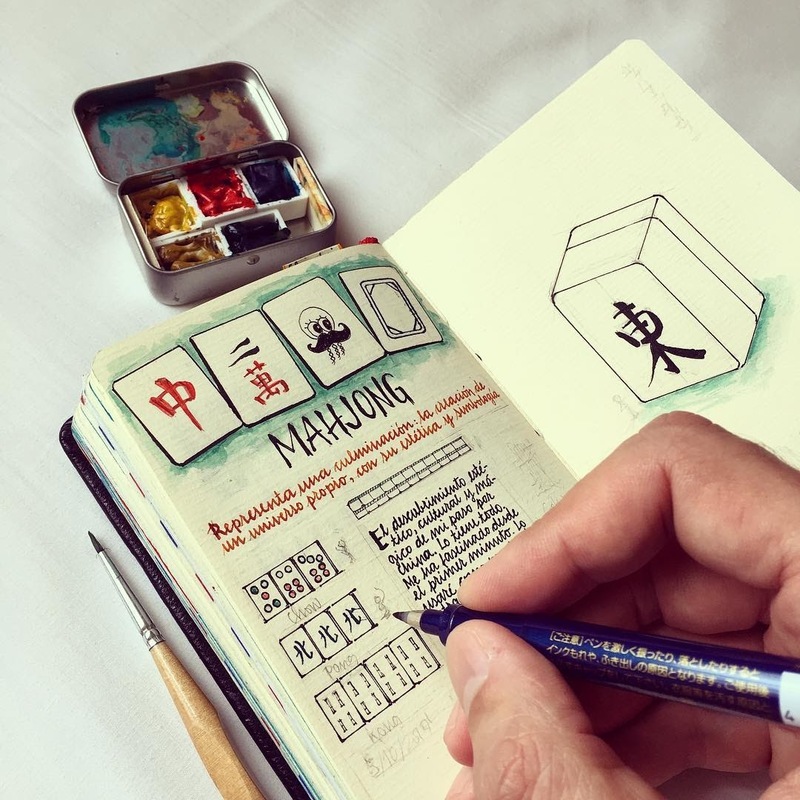 Mahjong will be my door to Chinese culture. 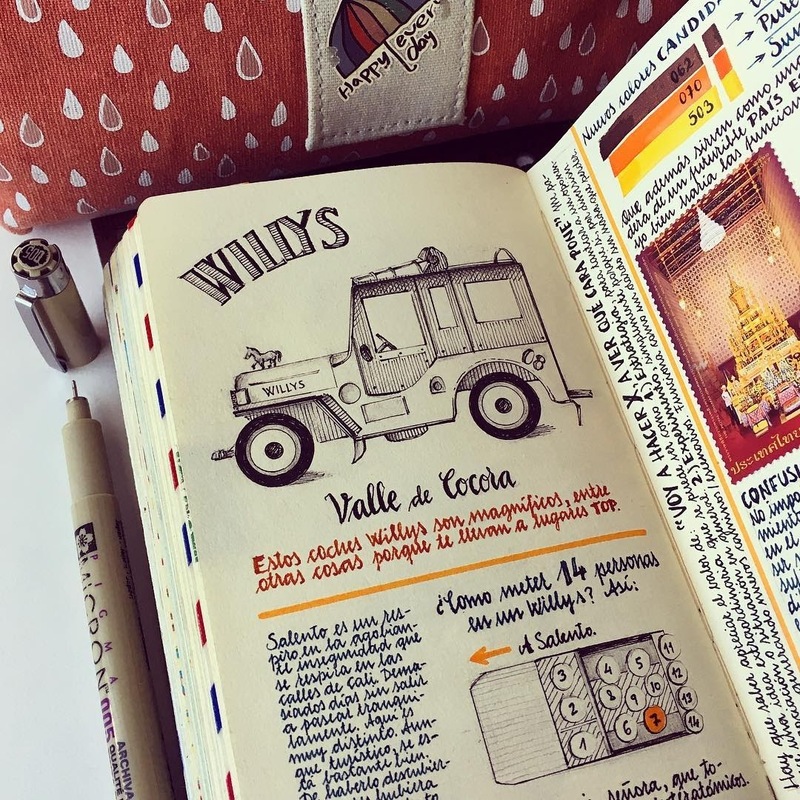 This Willys is a tough and tiny car. 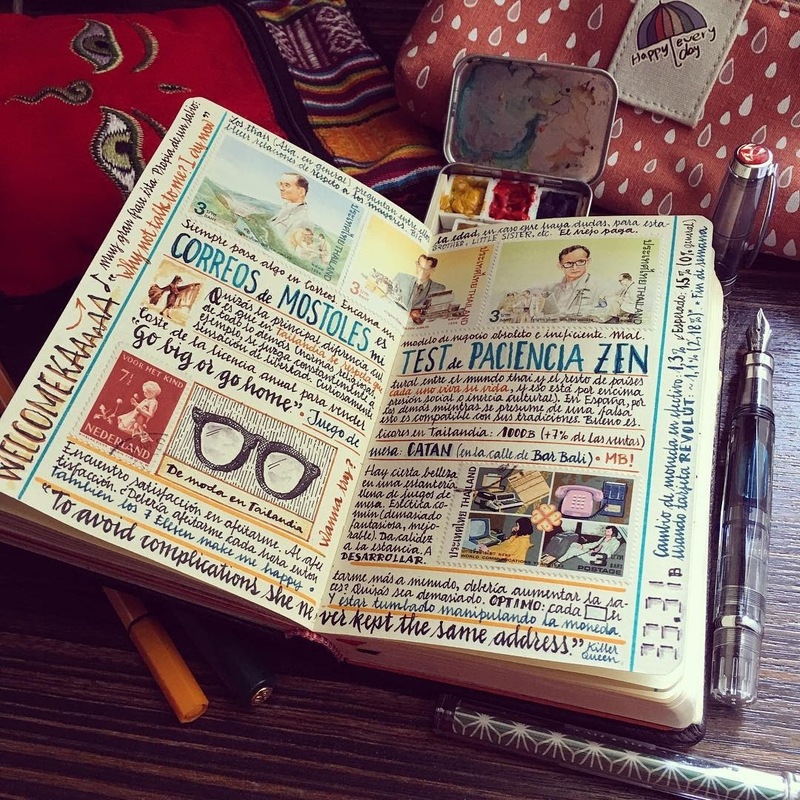 Going to the post office is my patience zen test.